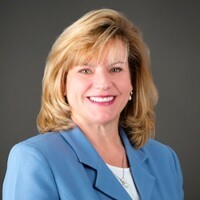 Kim Rupert, the chief risk officer of Science Applications International Corp., has been named one of 25 “Women Who Mean Business” by the Washington Business Journal. A long-time contract-management guru, Rupert won praise for her role in helping SAIC switch over thousands of contracts after the company separated from its former parent company in 2013. In her current role as chief risk officer, Rupert is responsible for ensuring the company’s leadership has a single view of enterprise risk and for developing the inventory of compliance mechanisms to mitigate those risks. She oversees the Office of Business Conduct and Excellence, which brings together the company’s ethics, compliance and cybersecurity functions. Rupert joined SAIC in 1994 and has held several positions within the company dealing with contract management. Before being named chief risk officer, Rupert was senior vice president for contracts and pricing. In that role, she was part of the SAIC leadership team tasked with carrying out the “split” that separated SAIC from its former parent company. As part of the transition, Rupert led the novation — or the process of switching over — more than 12,000 contracts from the parent company to SAIC. Rupert is also a past president of the National Contract Management Association and is active in several nonprofits through SAIC. She has participated in fundraising for Feeding America and the Leukemia and Lymphoma Society. This is the 15th year Washington Business Journal has handed out the awards. This year saw nearly 400 nominations — a record number. An outside panel of judges selected the final honorees based on a number of criteria, including commitment to community service, strong leadership skills and continuing success. See the full list of Women Who Mean Business.